Articles are a showcase for yourself and your expertise that you should not neglect. In a collaborative network like 2PS, articles allow other members to get to know you better, and target your common and complementarity points of your profiles. 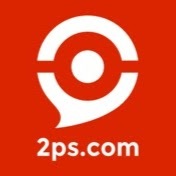 Your articles on 2PS platform are highlighted on your profile page they appear after the services you offer. They are visible to 2PS other experts and customers. What should be your first article on the 2PS platform? By joining 2PS, you belong to an international network of experts, members, customers and partners. The first step is then to greet the network and introduce yourself, a bit like your resume. This article should give a good overview of the person and the worker you are. Career, origin, experience, training, anecdote, everything is what characterizes you is welcome. It is a "storytelling" add-on to your profile, which will help other members connect with you and discover your personality. What should be your second article on the platform? This second article allows you to dig deeper into your expertise and the services you offer. In short, it is the elevator pitch of the added value you bring to clients. Careful, we do not accept direct promotion and advertising (for example with a link to your website or tools), we are waiting for a real demonstration of a business problem that you solve. Case studies and testimonials from your former clients are welcomed. During 2PS events, you will meet members of your league, see members from other leagues or countries (thanks to 2PSC4LL). Experts will most likely offer similar or complementary services to yours, but you may also get along with another expert so much that both of you want to do business together. Then, the first step will be to co-write an article on the platform, clearly introducing your offer, your common service and the customers you are targeting. You will also need to determine a price and/or package and a specific title for your offer. Don't underestimate the importance of all these features, since your ambassador will use this co-written article to contact clients and propose your joint offer. To find your perfect co-writer, the "My League" tool can be very useful, to view all the consultants in your league as well as their expertise and number of points. 2PS strongly encourages you to diversify your articles with case studies, reflections on a topical problem with the solution you propose, your position on a recent market trend, lists of the top 10 personalities, companies, or others about a specific topic. Bonus: an article brings you one skill point and a co-written article brings you one skill point and one sharing point. Don't wait any longer: 1, 2, 3, on your feathers!